The game came semi-working condition. There was a sound problem, and no ground modifications were done. 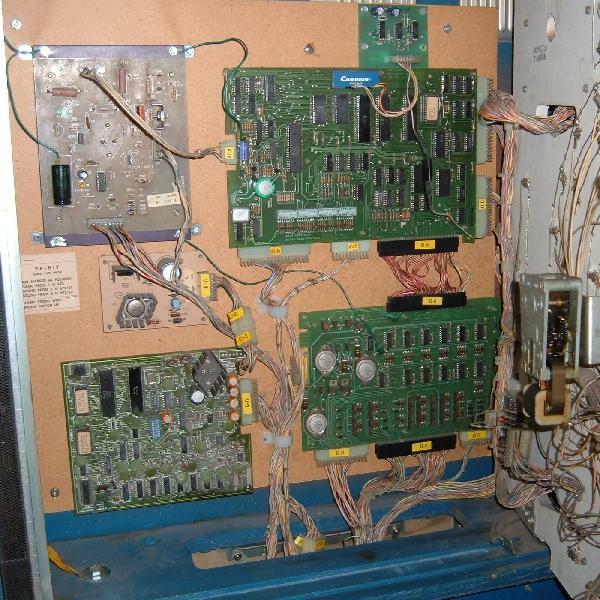 Also the original battery was on the MPU board. The reset board needed to be re-cap’ed. One drop target was broken. All these things needed fixed. First was to start with the MPU board and the reset board. The reset board monitors the display lines to see if there’s activity. 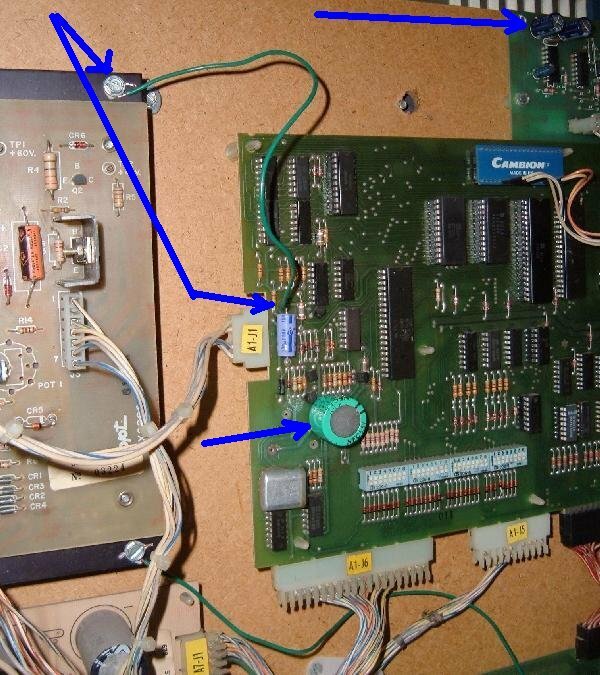 If there’s none, the reset board re-boots the MPU board. This re-boots the game if the MPU board lock ups, which could save the game from burning itself. 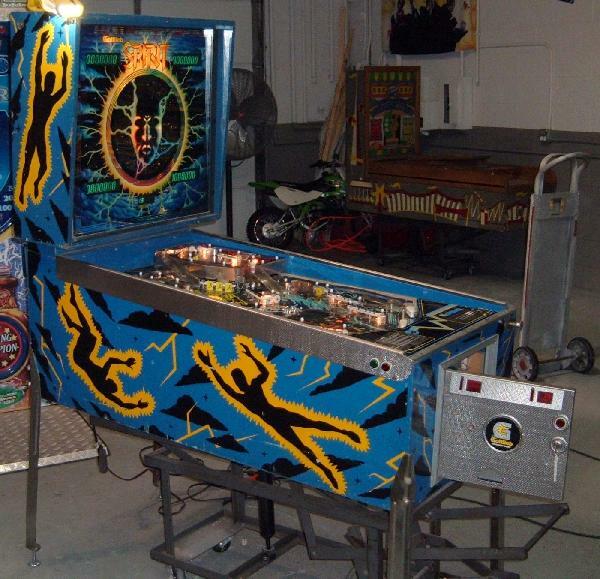 If Gottlieb had just done the ground modifications, they wouldn’t have needed a reset board. So be it, the board is there, and it’s a good idea to make it work the best it can. So we replaced the 3 electrolytic capacitors (470mfd x 2, 47 mfd.) Replaced the original battery with a memory backup capacitor (which will never leak.) 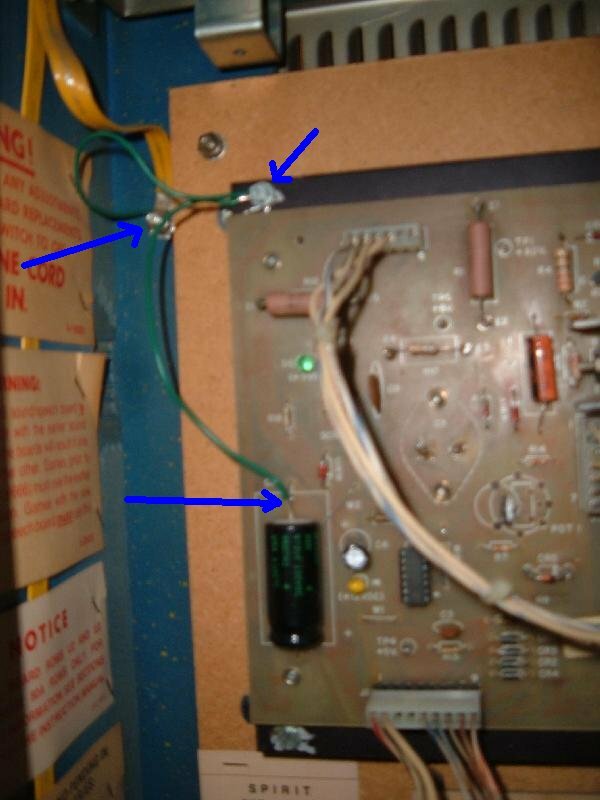 And ran a ground wire from the MPU board’s ground to the power supply’s metal frame. Now we had to tie the power supply frame grounds to the actual hard ground. 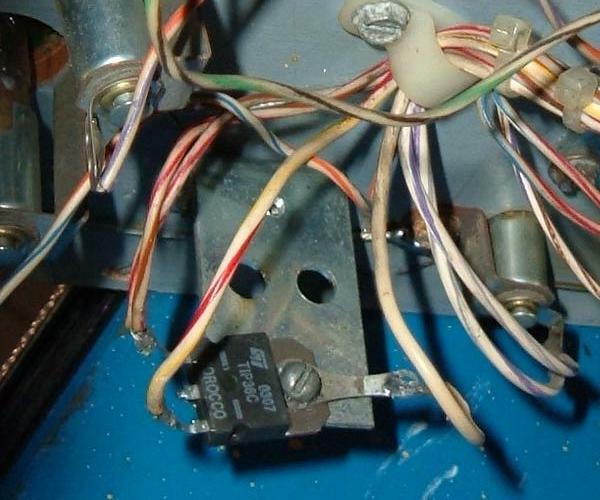 First is to make sure the negative on the power supply goes to the power supply’s metal frame. 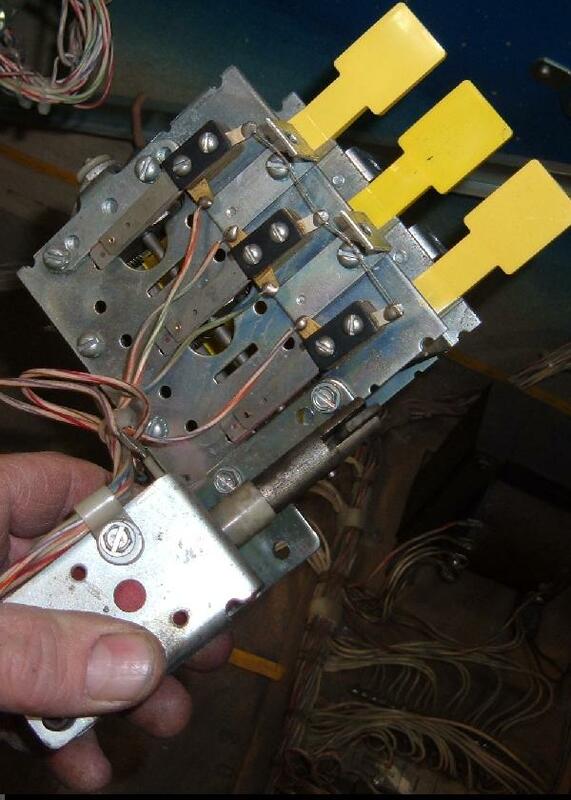 A wire is added to the vertical electrolytic capacitor for this. Then the power supply frame is hard wired to the ground braid in the back box. 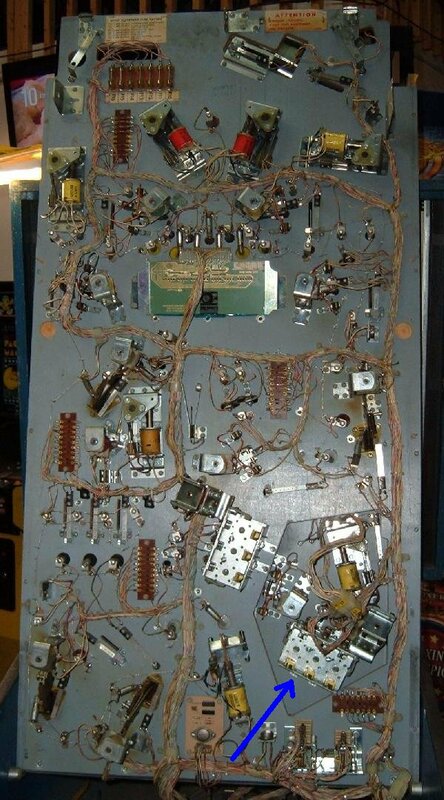 Note many Gottlieb system80 games have a wire going to the ground braid. Often you can just move that wire to the power supply frame to achieve the same effect. But on this game, the backbox ground ties to the lower cabinet ground via bolts and washers (which hold the backbox in place.) So what we did here was the best solution to get all the grounds tied together. To fix the sound (which only worked in attract mode), we just replaced the sound board with another working board. I’ll fix that sound board later – just wanted to get the game up and running. 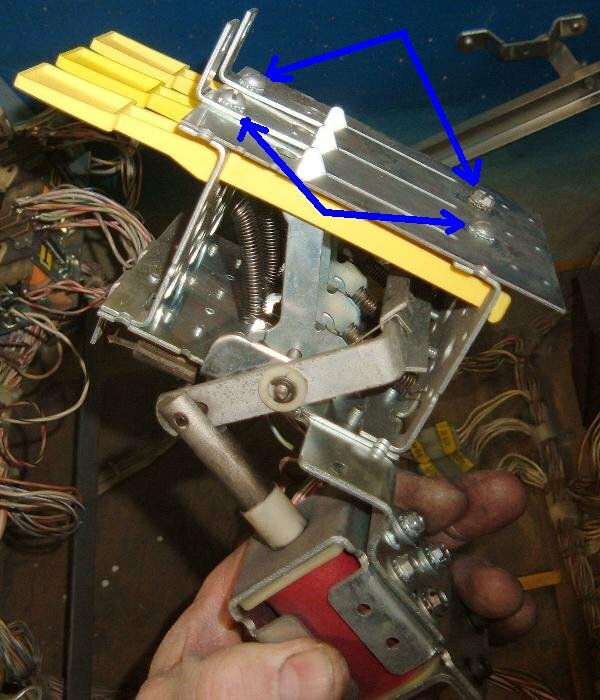 So that left going under the playfield to access the drop target bank with the broken target. Gottlieb got smart with the drop targets. This whole bank comes up with 4 screws and a connector plug. Easy to remove, which is nice. Also target replacement is easy. Again 4 machine screws and the back of the bank is off, and the targets just lift out. Set in a new target (actually we replaced all 3), and bolt the target back in place. That’s it, a simple 5 minute job! This is easy because Gottlieb modified these target banks from the EM era so target replacement is easy. Note the picture below. 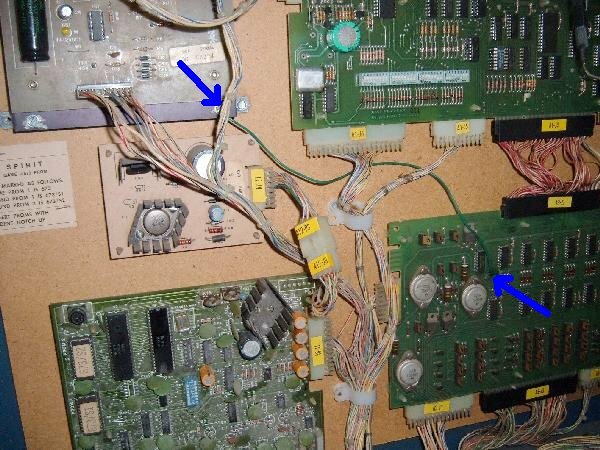 Someone (not me) replaced the 2n5875 under playfield transistor with a TIP36c. Pretty cool modification really. Thought you may enjoy seeing that. We then played some Spirit pinball. What a great game. It’s a fine addition to the club, one everyone will surely enjoy.